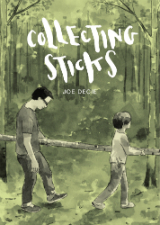 Showcasing his usual idiosyncratic combination of everyday autobio and bizarre diversions into contemporary fantasy, Joe Decie’s Collecting Sticks is an account of the Decie family’s glamping (“glamorous camping”) and their struggles to deal with the Great Outdoors, even though they have the relative comfort of a log cabin to fall back on. 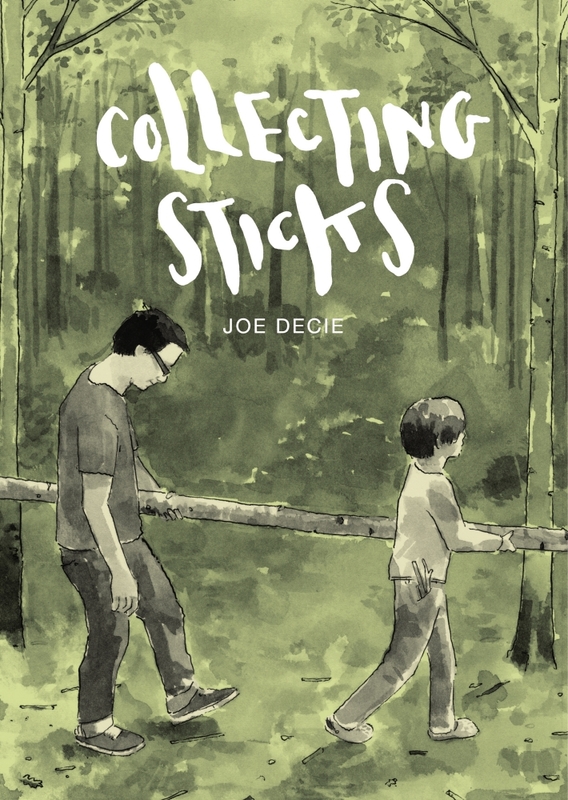 As you would expect, Decie’s deftly understated observational humour and self-deprecating on-page persona are very much at the forefront. But this longer-form narrative from the creator is also full of the humour of family dynamics and Decie’s ever wandering mind as reality often dissipates into Decie-an surrealism. You can read a full Broken Frontier review of the book here. The book launches at London’s Gosh! Comics this Thursday 13th April. Full details on the Gosh! site here. The first issue of of this fast-paced new sci-fi series was the surprise hit of March. It was so under the radar that we neglected to include it as a Staff Pick, an issue we’ll remedy right now with the recommendation to pick up these the first two issues. 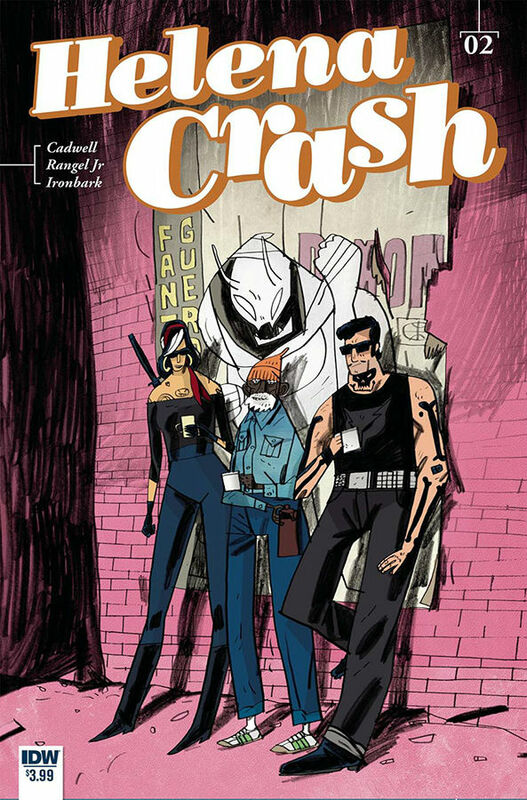 In a twisted future where coffee is illegal, Helena Crash is a courier of black market goods. But she soon finds herself in the middle of a mob war between El Rojo and the White Demon with both crime bosses competing for her services. The wrong choice could leave her in some very hot water. We’re coming to the end of the 2016 Retrofit Comics subscription to make their way to comics shops but every one of them has been a winner. There are plenty of publishers out there who can boast eclecticism as one of their trademarks but few to the degree of Retrofit. 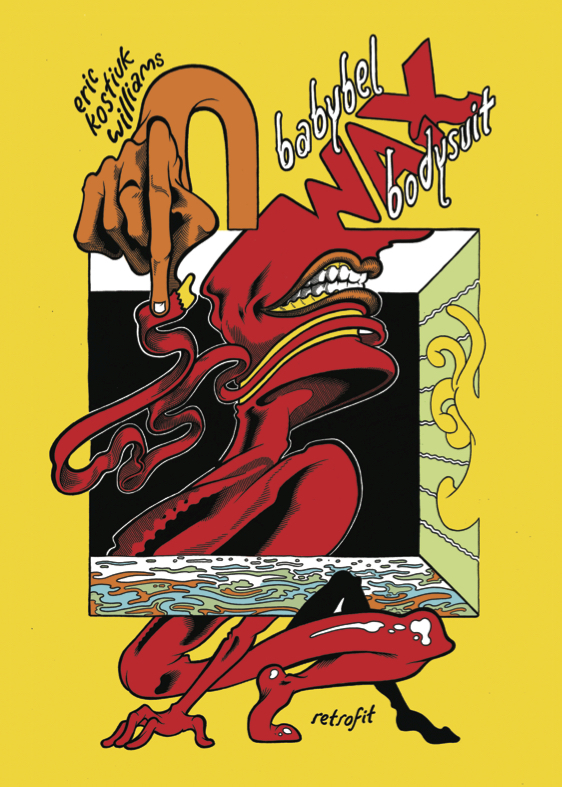 This week sees Eric Kostiuk Williams’s Babybel Wax Bodysuit hit the shelves of your local comic store as the latest piece of evidence submitted in the case for why you should subscribe to Retrofit. Immerse yourself in the busy, vibrantly coloured, almost organic pages of this collection and discover tales of interacting with comic book message boards, the struggle against gentrification and futuristic pop satire. Readers in the UK can pick up the book via Avery Hill Publishing here. Writer Marv Wolfman’s prolific and influential career in comics has earned him a well-deserved place in the pantheon of legendary creators. The same can also be said for artist George Perez – both men have unarguably had a hand in shaping the medium as we know it. 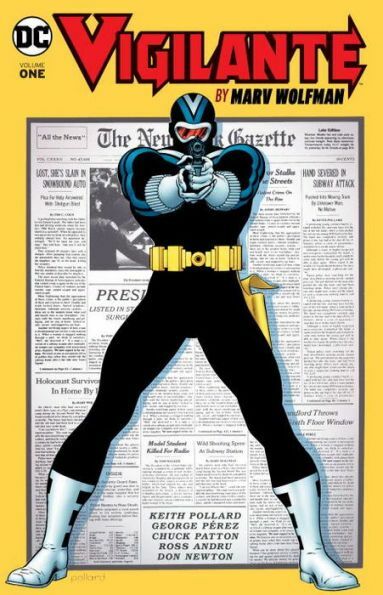 In 1983, Wolfman and Perez joined forces at DC Comics to revitalize a character from the Golden Age known simply as “Vigilante.” With a backstory that would be familiar to any fans of Batman or The Punisher, Vigilante was the name chosen by New York City District Attorney Adrian Chase once he made the fateful choice to don a mask and seek revenge against a group of mobsters who murdered his family. Vigilante, thus, is one of those unique comics that tells an engaging and action-packed tale on the surface while, at the same time, delving into the psyche of the main character to show how the hero’s choices effect him on an emotional level. Furthermore, Perez’s pencil work and layouts are nothing short of spectacular! The Vigilante TPB will collect the character’s Wolfman/Perez debut in The New Teen Titans Annual #2, as well as issues #1-11. Capable of reshaping others’ gods for fee or trade, shapers are viewed as a necessary evil due to their ability to reconfigure godflesh for a variety of effects. However, without gods of their own, they are despised and untrusted. When a roving shaper name Ennay and his ghostly companion named Bud (a god without a person to worship him) roll into a small Midwestern town to ply their trade, they fall in with a disabled vet out for justice she can’t afford. Spurrier and Goonface create a fascinating, fully realized world with a distinctive visual tone and unique vocabulary. 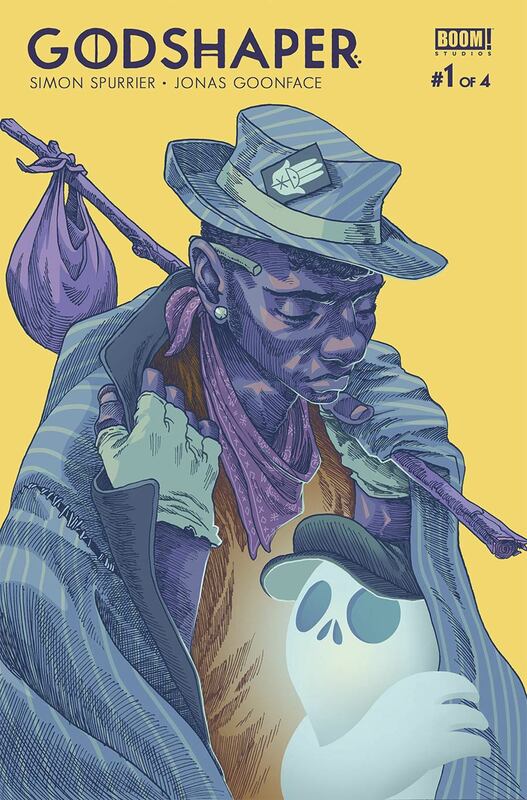 Built around a refreshingly original premise that informs the story at every level, Godshaper is a delightfully immersive reading experience. Definitely a series to keep an eye on! Matthew Rosenberg’s work last year gained multiple recognition in our 2016 Broken Frontier Awards with his nomination for Breakout Talent and Black Mask’s 4 Kids Walk into a Bank nominated for Best Limited Series. 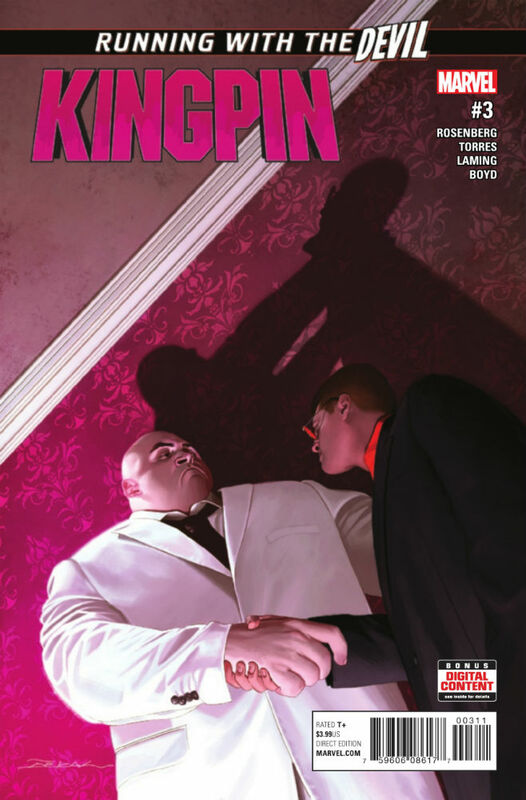 His take on Wilson Fisk – Marvel’s nefarious Kingpin of Crime – has been a revelation, subtly manipulating his audience’s expectations as cleverly as his protagonist manipulates the lives of those around him. The most layered and visually articulate take on Wilson Fisk in years. Staff Picks for June 15, 2016 – Hole in the Heart, How to Talk to Girls at Parties, Life, Death and Sorcery, Elf Cat in Love and More!